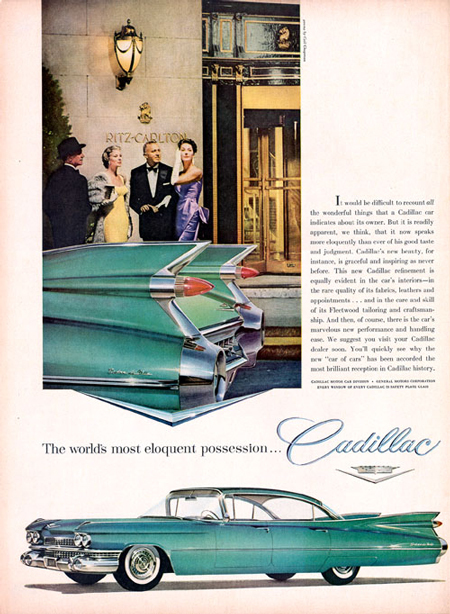 My family never had a Cadillac. My grandparents always had a beige or brown Mercedes, and the Wagoneer, "Old Blue," at the ranch. My father stuck with the Mercedes thing except for a detour in the late 1960s and the requisite VW bus. 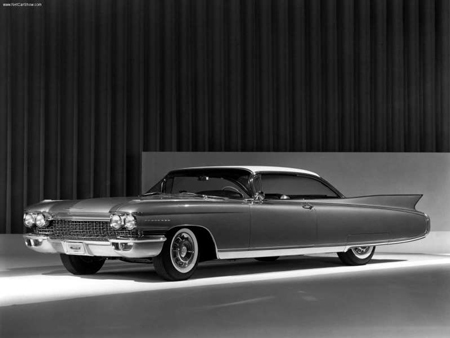 Other friends' families had Cadillacs. I coveted them and was deeply jealous. The Mercedes was nice and staid, and said, "Please. We're not flashy." But a yellow Cadillac said, "What the hell, let's have drinks and get into trouble." When you're 13, this sounds far better. 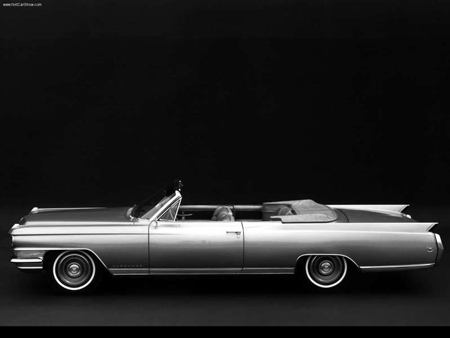 Now the unfortunate part of this is that by the time I could buy a Cadillac they were, forgive me, ugly. For awhile I considered buying a vintage one and researched every year and make. Like most of us, I've been conditioned too well. It sounds like a swell plan, but when the time came to head to the vintage car auction, I thought, "well, they really are kind of flashy." For me, 1964 was the pinnacle year. 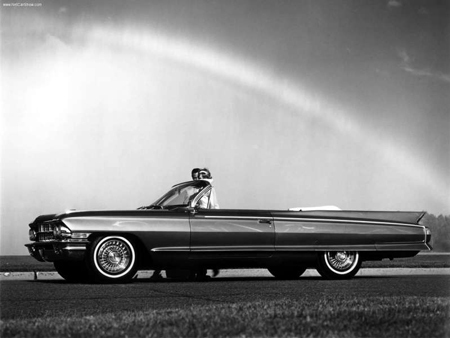 The fins were still in place, but had lost the trashy factor of the 1959 model. The profile is clean and almost a perfect rectangle. It's sleek and clean. It's probably a good thing that I'm not the CEO at GM. 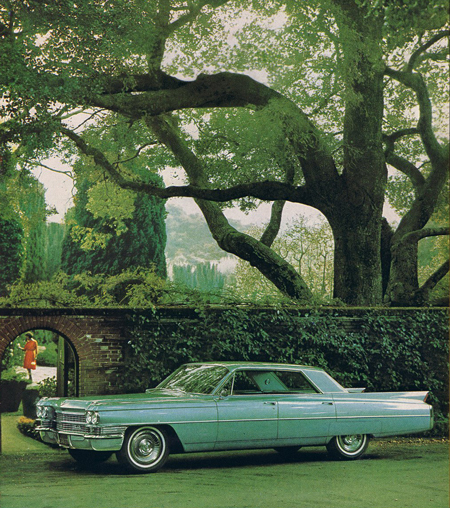 If I were, I'd be retooling and pumping out 1964 Cadillac Eldorados. If they worked like a new car and had all the features we now want, like seat belts, who wouldn't want one? And if they were all over the road, I wouldn't feel too flashy in mine.